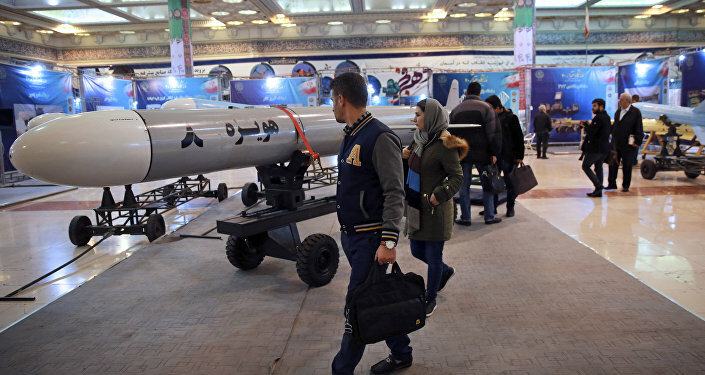 MOSCOW (Sputnik) - Secretary of the Iranian Supreme National Security Council Ali Shamkhani said on Tuesday at a meeting with Syrian Foreign Minister Walid Muallem that Israel will receive a decisive response if it continues attacks in Syria. "In case of continuation of such actions, specific measures will be taken to contain it and to respond decisively and symmetrically, giving an exemplary lesson to the lying and criminal rulers of Israel," Shamkhani said, as quoted by the IRNA news agency. Muallem, in turn, said that the Syrian government was committed to ensuring the security of the Iranian forces in the country. Last month, Islamic Revolutionary Guard Corps second-in-command Brig. Gen. Hossein Salami said in a television address that Iran's strategy was to wipe "the Zionist regime" of Israel off the political map. Relations between Israel and Iran have been very strained recently. Israel has been opposing what it calls Iran's military presence in Syria, fearing Tehran might gain increased influence in the region. Iran has stressed that it only sends advisers at the request of the Syrian government.